Well, hello. Hope your Saturday is as good as ours...we just unloaded a few pallets from Bordeaux, and guess what we found??? GRAND CRU ST. EMILION, with killer press and scores…at, by FAR, the best price you will ever see!! KILLER 2015 vintage to boot! Barely a handful to go around today though!! Wow! 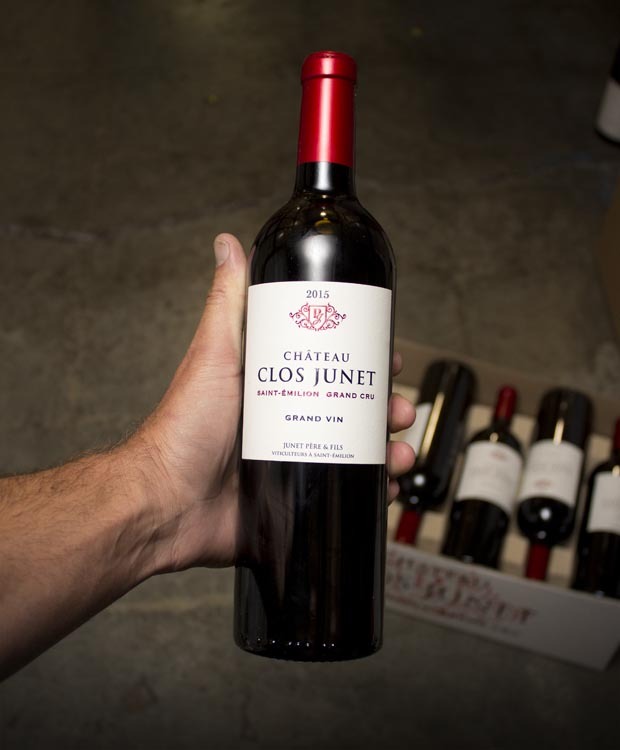 Family-owned since 1890, Clos Junet, especially in the last decade or so, is well-known among St. Emilion cognoscenti to drink WAY above its price point. And that is at the original price!! Today? A steal!! Rich and fragrant, it wraps you in its Bordeaux arms and makes you want to run out and get some duck confit (or is that just us?). Cassis, cool mint, zippy freshness, and a long, cool, layered finish. Lovely. Happy-making. Ridiculous at this price. That’s all we’ll say --- not enough to go around! !